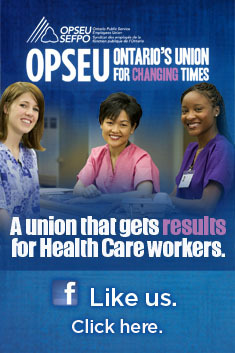 Have the Ontario Tories ditched some of their long-standing health care issues in the wake of the Drummond report? On the one hand, Hudak likes Drummond’s idea for even larger Local Health Integration Networks, on the other hand, he remains silent on Drummond’s call to hold the line on new long-term care beds. During the election Hudak called for the elimination of the LHINs and pledged to create 5,000 new long-term care beds and renovate 35,000 more. While PC Leader Tim Hudak has accused Premier Dalton McGuinty of cherry picking the report, he himself has been all over the map, one day insisting the Premier implement it, the next day carving out his own exceptions from the 362 recommendations. “If the Premier takes a single one of them off the table he must specify an alternative approach,” Hudak said. And then Hudak himself began taking them off one by one, starting with his call to protect $340 million in revenue from slot machines shared with the horse racing industry. “The LHINs’ boards are made up of largely anonymous, unelected, unaccountable individuals,” Hudak complained over a year ago. Drummond makes no recommendations to make LHINs more accountable to their regions and suggests governance must be even further removed from democratic influence by ending Order-in-Council appointments. It’s not the first issue Hudak has flipped on since the election. While he initially opposed full day kindergarten, he came to like the idea during the election. Now he supports Drummond’s call to cut it. At least Hudak was more consistent with his call for wage freezes, even if the Drummond Report rejects that idea. But it’s the recommendations where the Tories have remained silent that are the most surprising. There is no question that Hudak’s core constituency is seniors. Yet Drummond wants to means test them for access to the Ontario Drug Benefit program. Drummond says $300 million of the $2.7 billion spent on pharmaceuticals could be saved by making more affluent seniors pay for their own drugs. That’s about one in nine seniors. Does Hudak really support this? We also wonder how he squares the idea of reducing administration when the Drummond report calls for a permanent health reform commission, new coordinating bodies similar to Cancer Care Ontario, and additional resources for Health Quality Ontario (which was actually in the Tory election platform) and the Institute for Clinical Evaluative Sciences. Hudak said during the election that he wanted money to be directed towards more nurses, doctors, health care technology and front line care, but Drummond says the government should hire workers to help patients with paperwork. Tories have always been big on free trade, but Drummond warns that a Canada-European free trade agreement could cost Ontarians up to $1.2 billion annually in higher drug costs. Is this a warning he is taking to his Federal cousins? As much as Hudak has fumed about e-Health, the Drummond report is full of recommendations to accelerate and broaden the implementation of e-Health. If Hudak is concerned about balancing the budget, where will all of this money come from to support this? Drummond never explains, and neither does Hudak ask. Drummond also recommends expanding the scope of coverage for health care, including pharmaceuticals, long-term care, and “aspects” of mental health. If Hudak is on board, this would definitely be new territory for the Tories. During the election the Liberals pointed out that Mark Spiro, Tim Hudak’s campaign manager, was paid by the big chain drug stores to organize a campaign against the Ontario government because of plans to lower prescription drug costs. Hudak and the Conservative caucus opposed the government’s legislation to lower the price of generic drugs. Hospital amalgamation has been very unpopular in Hudak’s Niagara-area constituency. Yet Drummond recommends “further amalgamation of hospitals.” Does Hudak really want to see the Niagara Health System get larger? What is surprising about Hudak’s endorsement of the Drummond report is how much of it reflects the current Liberal direction in health care. We can see how this will play out: every time Hudak complains about health care policy, the Libs will be reading from the book of Drummond. The Tories may soon come to view their endorsement of the Drummond report as a huge mistake. This entry was posted in Health System, Local Health Integration Networks, Uncategorized and tagged Drummond Report, Ontario Drug Benefit Program, PC Health Platform, Tim Hudak, Tory Election Promises. Bookmark the permalink.